In the comments section of the article before last I got my first request and I have followed through as I said I would. I have watched, and now I am writing about, Dynamite Warrior. The reader that requested I do this mentioned that the plot was confused and that the movie did not seem to leave him with anything to think about. I can sympathize, dear reader, but I disagree with your assessment. I do not believe the plot was confused, nor do I think the movie left the viewer with nothing to think about. Quite the contrary, the plot of this movie was better than the movie itself and, consequently, you were left with EVERYTHING to think about, because the movie didn't say anything about the ideas it presented. The trick here is to find a way to discuss these matters without excluding all the other dear readers who didn't watch the movie (which, although I enjoyed this bit of craziness, I do not exactly recommend. There are other movies to watch.) This will involve a bit of summarizing, but I'll try to keep it to a minimum. For example, one of the characters in this movie is an evil wizard who kidnaps a baby girl and raises her as his own. His intention in doing so is to use her menstrual blood in a spell to take revenge on an enemy wizard, after which he intends to deflower her, so that the spell can never be reversed. Now, would you believe (all you who haven't seen the movie) that the tone of this whole film is pretty lighthearted and rather silly? Looking at the summary I just wrote (of only one facet of the story mind you), I can hardly believe it myself. This character and this part of the plot are very grim, and there are at least a few disturbing and grave topics this concept evokes. But the movie doesn't evoke them, only the concept itself does. 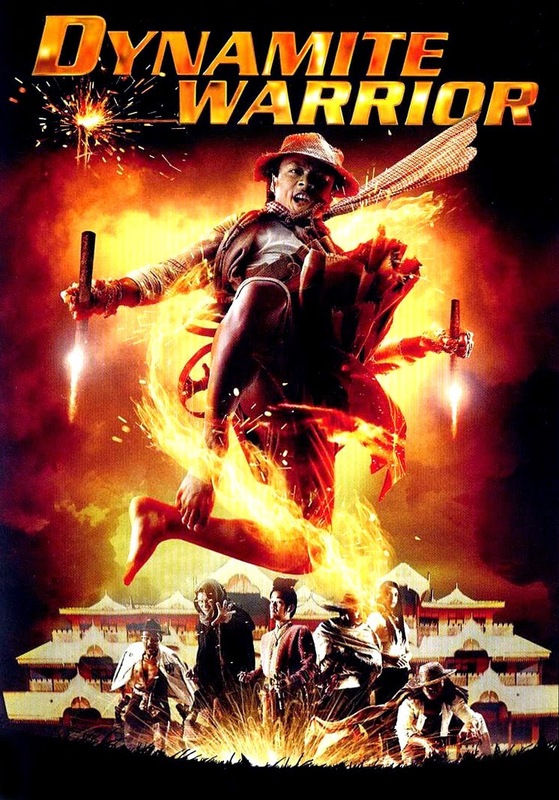 The movie just casually mentions them in the midst of Robin Hood-esque martial arts masters riding giant fireworks into battle with water buffalo traders, or scenes in which, when the menstrual blood thing comes up, the girl in question storms off in a huff because the main character asked her about her cycle in a blunt, bumblingly comedic fashion. It is actually pretty astonishing how coherent the plot is in spite of this. I don't ever remember watching another movie where the tone and execution so drastically differed from the story while leaving the story intact. The point here is very related to the point made in Action and Actions: presentation and story are not the same thing because the story (the idea of the film, book, etc.) is comprised of the characters, places, and things depicted and their actions on, and reactions to, each other. The presentation (the way the story is conveyed) can certainly mar or change the story, but it is something laid on top of the story which can also shed light on the ideas, comment on them, contrast them, spin them, etc. Now, I don't mean to be saying that serious topics should never be approached in humorous or even farcical ways. Far be it from me to cut off such potential. I will also freely and proudly admit that I laughed out loud at the awesome hilarity of the masked man riding his enormous bottle rocket over the fields so that he could proceed to vanquish Thai cowboys almost exclusively by kneeing them. It was great. What I am saying is that a movie can present a plot poorly or incoherently without having an incoherent plot and, while a movie may be condemned for having nothing to say about the ideas it presents, it can't be charged with having no ideas. Thanks for the article John, you make a point in distinguishing the plot and the way the plot is presented. By the way happy birthday in advance.